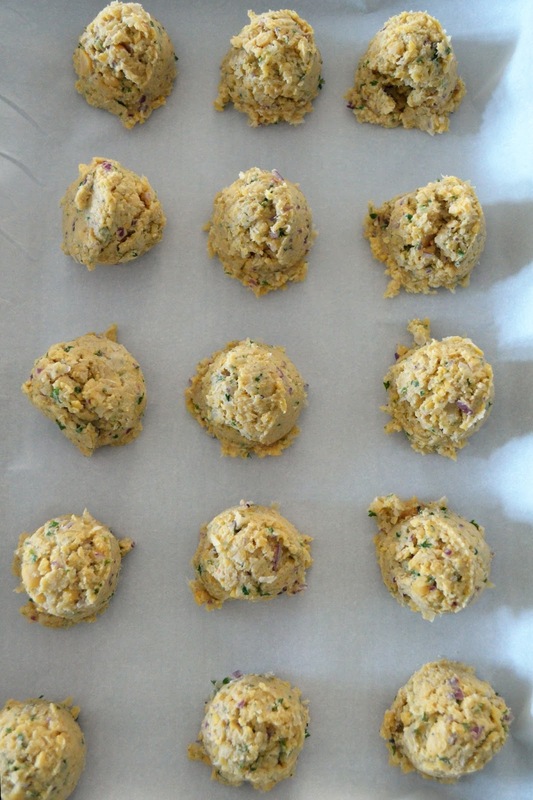 Our computer is back in business, so here is the recipe for baked falafel that I wanted to share with you on Monday. Have you ever had falafel? I hadn't tried it until recently, and now I'm obsessed. I'm back on my diet so good ol' fried falafel is out of the question. Luckily I found this super easy recipe on design conundrum that I decided I needed to try. I'm glad I did, because I especially love how these came out crisp and brown from the oven. 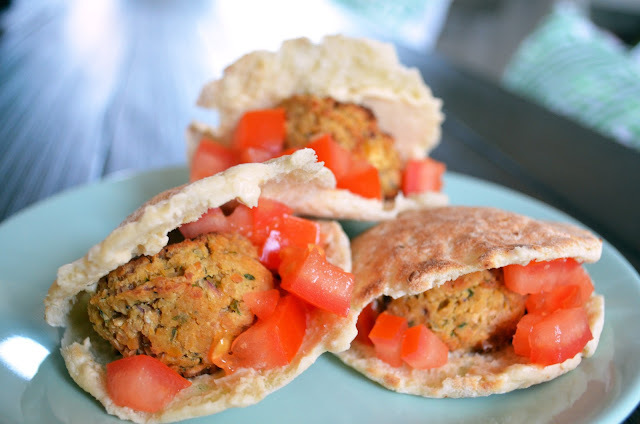 You definitely don't miss out on any of that crispy falafel goodness by not frying these. I had pretty much none of the ingredients to make her lemon tahini garlic dressing, but I'm sure it's amaze. I just threw mine on eensy Trader Joes pitas (full disclosure: I bought these only because they were cute, they aren't that great! ), added a little hummus and diced tomato, and had a simple, filling dinner. My only suggestion is to be pretty liberal with the salt and pepper. I wasn't and they definitely needed more. The recipe makes quite a few of these little nuggets, so I've been snacking on the leftovers by dipping them in hummus... so good!